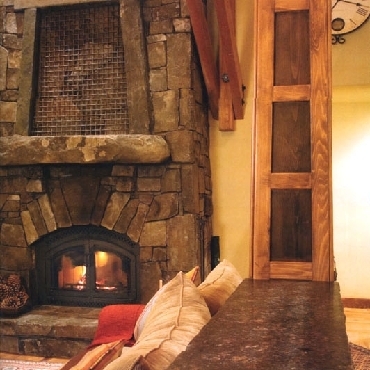 Sometimes space and budget are priority. 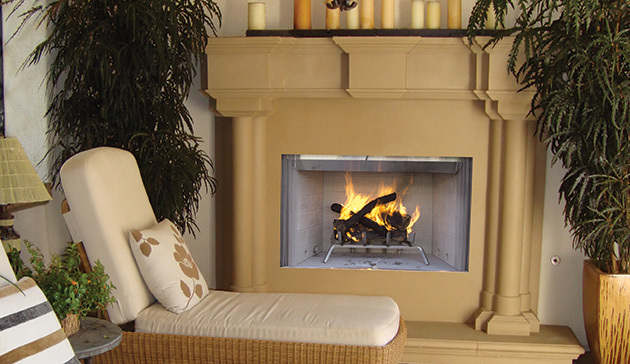 All of our fireboxes are insulated and help to limit cold air seeping in from the fireplace – a common problem in track home installations. 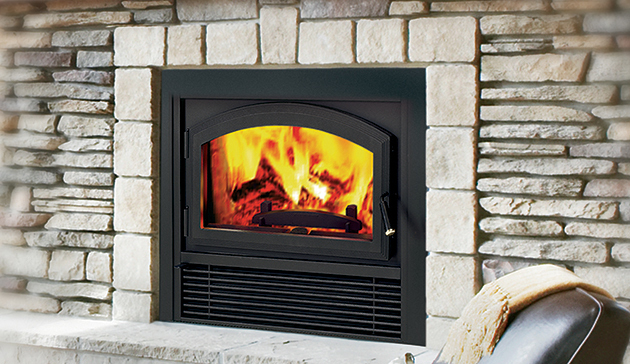 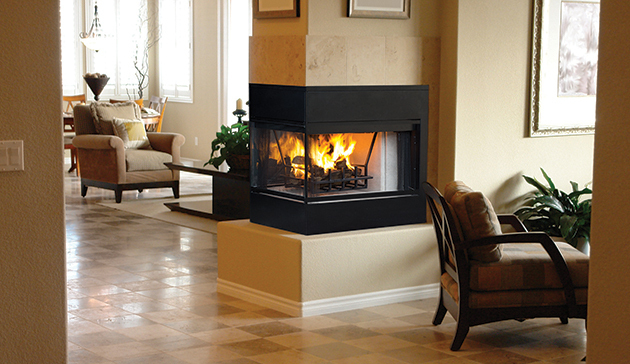 Smaller chimney with the ability to easily offset allows more versatility and allows the fireplace to fit in your planned space. 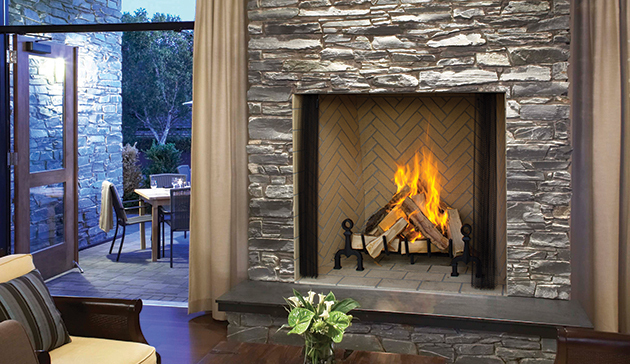 You still have a lot of options for a builder box; sizes, refractory styles (brick patterns and colors), sizes, glass doors, outside air – Ask us! 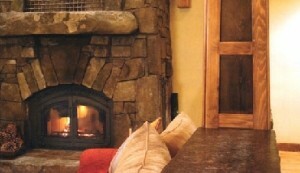 We’ll be glad to answer your questions and show you your options. 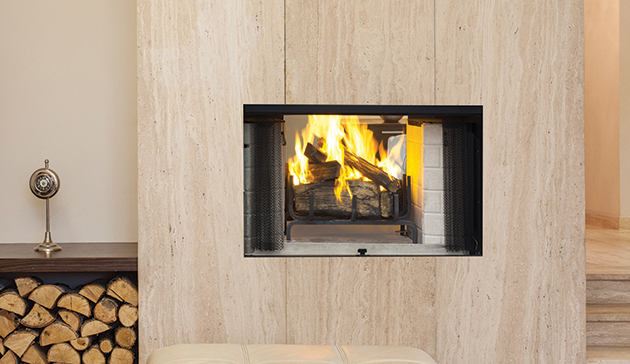 This area of fireplaces fits the person who desires the self-sufficiency of wood, but does not want to endlessly add wood to keep the fire going. 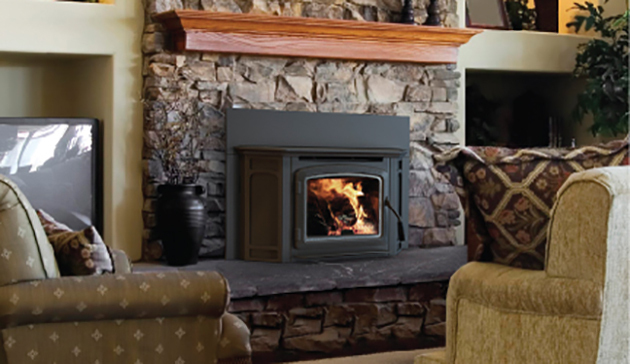 Most of the high efficient units specialize in long burn times (5-10 hours on one load of wood) and, of course, low emissions to heat output. Current units, unlike their predecessors, can burn keeping the glass clean, and distribute large volumes of heat, some with systems to heat the entire home. These units produce great “clean” numbers for the environment! 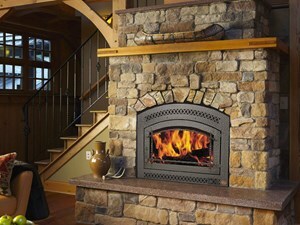 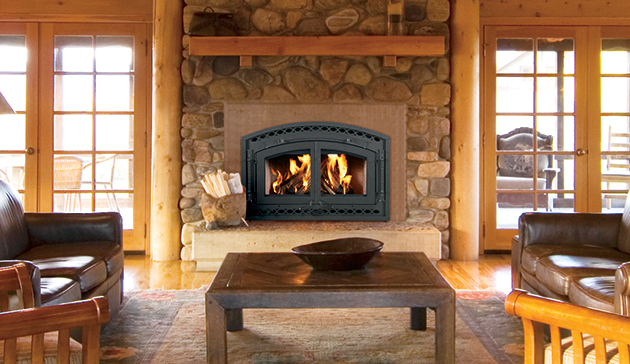 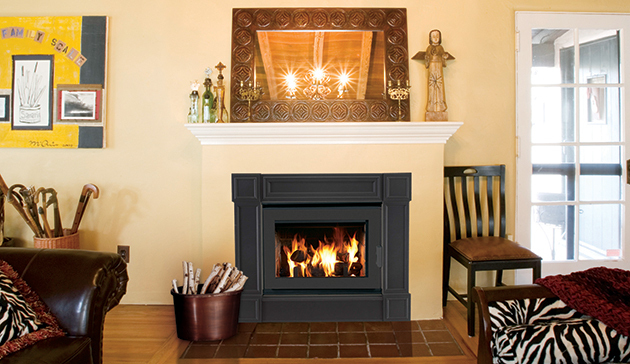 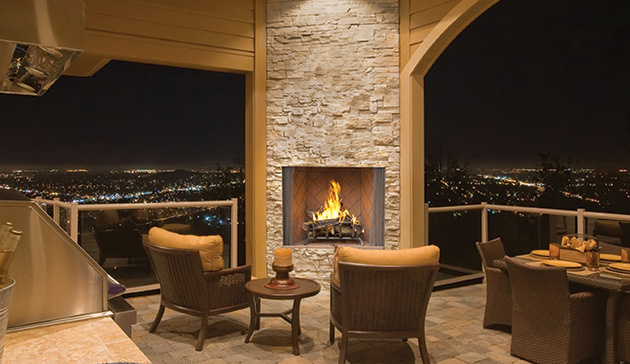 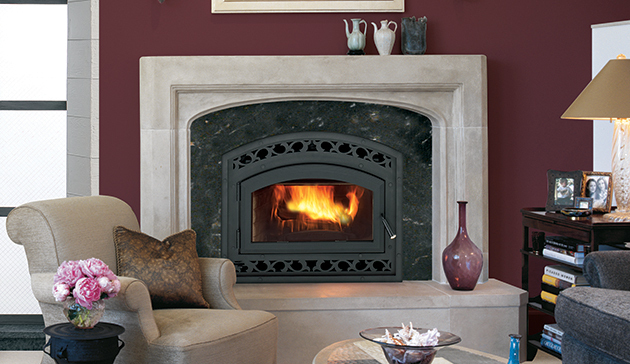 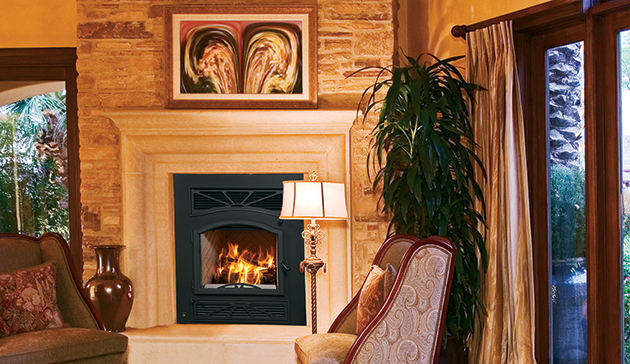 A multi-view fireplace may be a perfect fit and add warmth and ambiance to your room. 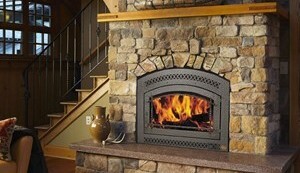 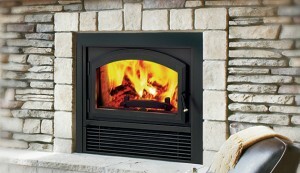 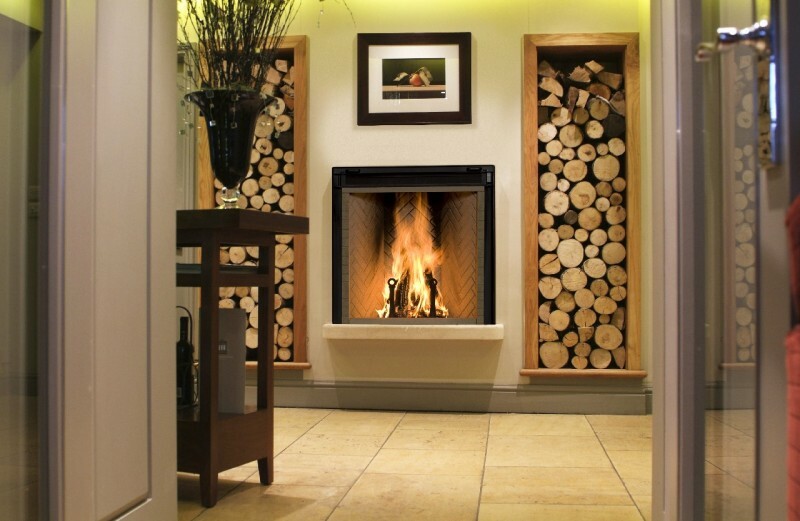 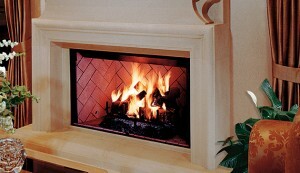 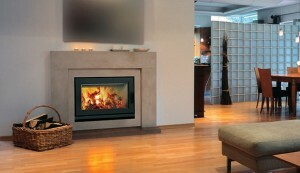 However, in today’s homes there are many considerations before installing a multi-sided wood burning fireplace. 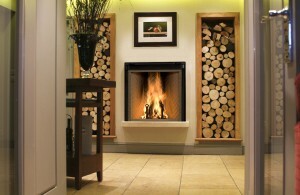 Set up an in store consultation to avoid issues and discuss your applications. Our website is not intended to reflect every product we sell. 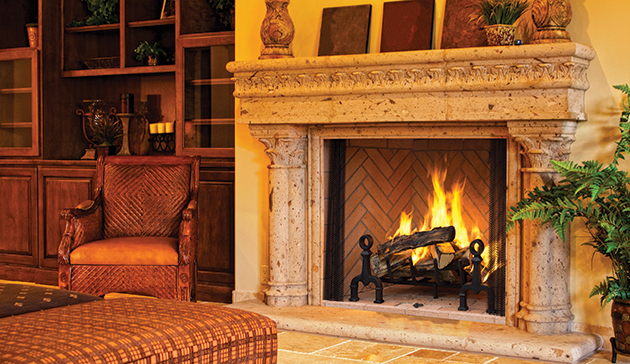 If you are looking for something you do not see here, or would like more information on a product, please contact a member of our professional staff. We are happy to help!